You can do worse than this headset, but you can also do better. There’s been surprisingly little movement in the budget-friendly end of the headset market these past few years. HyperX released the critically acclaimed Cloud for under $100 in 2014, then followed up with the pretty solid and even cheaper $50 Cloud Stinger this year. You’d think that with HyperX commanding such strong word-of-mouth, other companies might step up their own efforts. It hasn’t gone that way, though. A lot of fighting has happened around the $100 price, as well as in the wireless headset market, but the Cloud remains the default recommendation more than two years on. 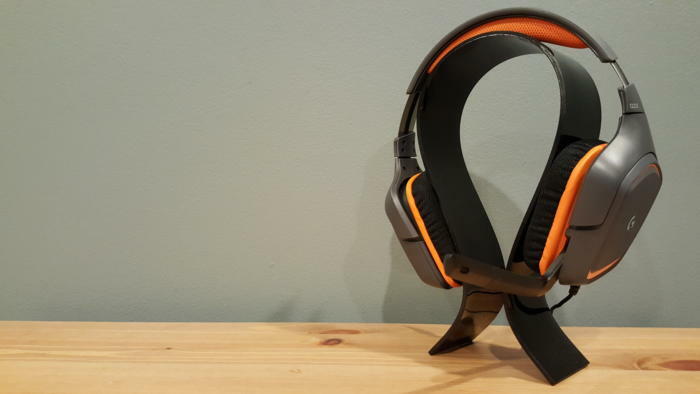 Logitech’s new G231 Prodigy headset isn’t going to shake things up, either. It’s a perfectly competent headset, and that’s it. Last year’s G633 and G933 headsets ditched Logitech’s older, more conservative design ethos for black coloring with LED highlights and a modernized angular look. The G231? Not so much. 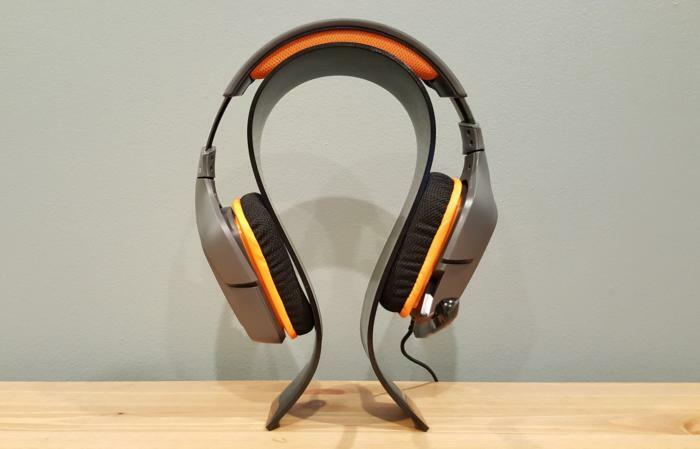 This headset looks as if Logitech hauled out its predecessor, the G230, then updated the logo on each ear and replaced the red highlights with orange. It’s a pretty traditional Logitech design, all things told—like an enterprise headset adapted for gaming. I do love those diamond-shaped earcups though. They may look bizarre, but the elongated shape and a generous amount of foam padding ensure the G231 never rubs against my earlobes. 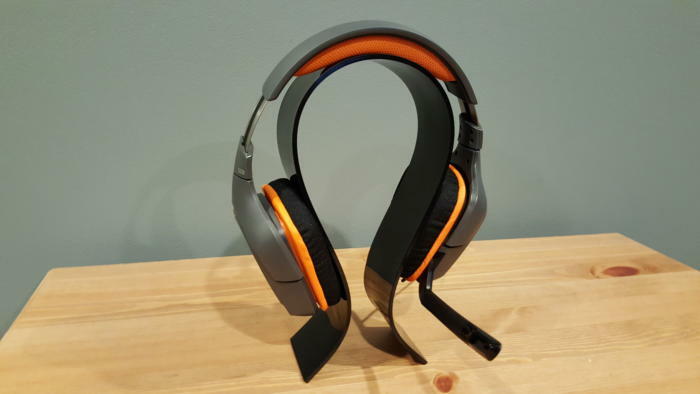 And really, the shape’s not overly different from the G633 or G933, but you know what they say: Black is slimming. The G231’s gray-and-orange color scheme draws attention to its size and odd profile. The color scheme is pretty low down my list of G231 missteps, though. There are other aspects I wish the G231 had carried over from its newer, more modern siblings. Top of the list is better mesh fabric for the ears. The G231’s padding is fine, but it’s covered in a scratchy and cheap-feeling mesh that annoys both my fingers and my face. I’m not a fan of mesh-covered earcups at the best of times, but the G231’s is particularly rough—a fact that’s easily confirmed by putting it side-by-side with the G633 and G933, which feature a much smoother fabric. It’s also a shame that the G633 and G933’s microphone design didn’t make it over. On those models, the microphone folds up into the earcup, so when it’s retracted, you can barely tell it exists. The G231 takes the more traditional approach, slapping a non-detachable microphone on the outside of the left earcup. I know that’s probably a key cost-cutting measure, but it’s nowhere nearly as elegant. Worst of all are the in-line controls. It’s not the dongle’s fault, since it has the basics (volume wheel, mic mute, etc.) and works fine. But I prefer headset controls like those found on the G633 and G933. Again, cost-cutting measures. One reason I typically like headset controls is that they’re immediately accessible, whereas with in-line controls you’re at the whim of the manufacturer. 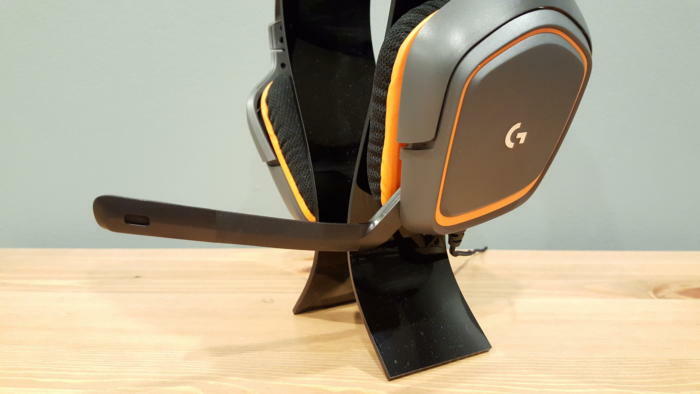 On the G231, Logitech’s in-line controls hang almost a solid two feet underneath the headset—so when you’re sitting, it tends to either fall off to the side of your chair or end up buried in your lap. A clip does exist on the back of the dongle, so you can fasten it to your collar or whatever, but it’s inconvenient. You have to remember to remove both the headset and the control box whenever you get up. And surely, nobody is so tall as to need two feet of cable between the headset and their collar or wherever they’re clipping this thing. It renders the controls inaccessible unless you’re willing to fasten in completely. To be fair, this is also a problem with the HyperX Cloud and many other headsets with in-line controls—it’s not limited to Logitech. It is annoying across the board, though, especially since HyperX’s new $50 Cloud Stinger has simple controls built into the headset itself. All told, the G231’s not a bad headset design but it’s just the G230 with a new coat of paint—and not even that new a coat of paint. Paint a G230 orange, and you’re 50 percent of the way there. With how much Logitech’s worked to redesign its other peripherals in the past few years, the G231 feels behind the curve. Maybe you’re not concerned with how it looks, though. At $70, maybe you’d strap a frog to your head as long as it provided good-enough audio. Well, that’s what you get with the G231. It won’t wow you, but it’ll get the job done. The G231’s mids are its strong point, as is the case with most budget headsets—there, you’ll find the most accurate reproduction and the least distortion. Expect the traditional “cheap headset” bell curve, though. Bass is weak out of the box, but a decent third-party equalizer can boost it enough to give games more punch. It won’t be as clean as the G633 or G933, but at least you’ll get that solid bass presence. The treble is less salvageable, leaving the G231 with a thin and flat sound. The microphone is even more workmanlike, although that’s the case with almost every headset in this tier. Suffice it to say your friends will hear you fine, though you might sound a bit more distant or telephone-y than on more expensive headsets. None of this would be a big issue, except for the G231’s price. Now, $70 isn’t particularly expensive for a gaming headset, but a lot of competition exists in this neighborhood. For about $10 more, you can get the Razer Kraken Pro V2, the Corsair Void RGB, numerous Turtle Beach headsets, the HyperX Cloud, or offerings from a bunch of lesser-known brands. And for $20 less, there’s the HyperX Cloud Stinger. The G231’s predecessor, the G230, is fairly popular because you can typically find it retailing nowadays for $35 to $40. And that’s a pretty great deal for the G230! But $70 for the G231 doesn’t hold quite the same attraction. I’ve seen the G231 on sale for $50 recently and it’s more competitive at that price, but even then I don’t think it quite stacks up to the HyperX Cloud Stinger. Logitech’s microphone is maybe a bit better, but I give the Cloud Stinger the edge in audio quality. And so nothing really changes. 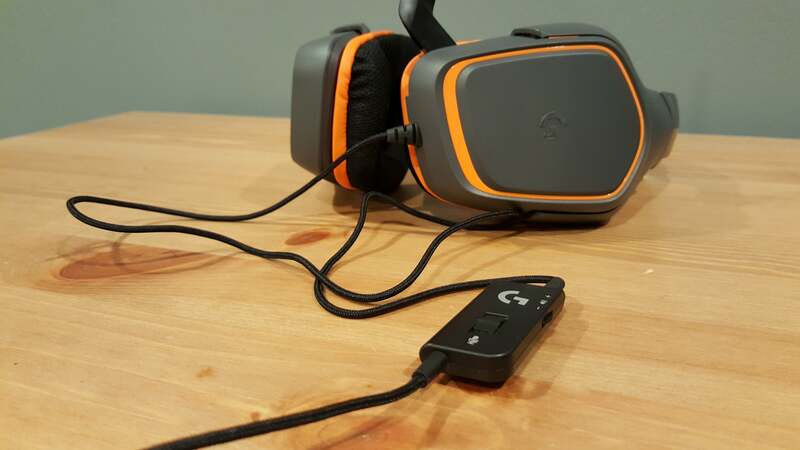 Logitech’s G231 is a perfect alternative to HyperX’s offerings—if you find it on sale, for instance, or if you just can’t stand the look of HyperX’s headsets. Or maybe you just love Logitech. Those are all valid reasons, and the G231 is close enough in performance to the Cloud and Cloud Stinger that I wouldn’t try to dissuade you. All are fine. HyperX still comes out just a smidge ahead though, with a better price-to-performance ratio in both the Cloud and Cloud Stinger. And when someone’s primary concern is getting the most value possible for the least amount of cash, sometimes “a smidge” is all that’s needed to keep the lead. 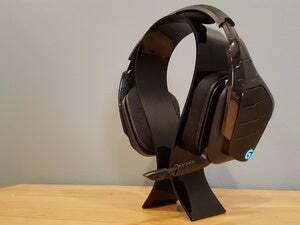 The Logitech G231 isn't a bad headset by any means, but it's not going to shake up the low-end headset market.